A brand new cocktail book, inspired by the pages of the James Bond novels, is now available in the UK. 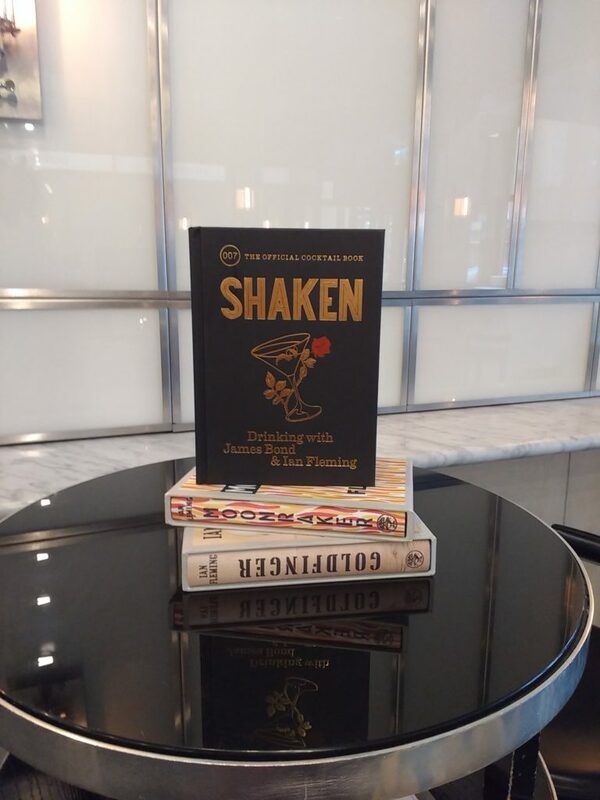 SHAKEN is a tribute to Ian Fleming’s writing on alcohol and his appreciation for well-made drinks. The book features ten classic cocktails from the novels, such as the Martini, and also showcases forty never-before-seen cocktails, inspired by characters and themes from the 007 adventures. The cocktails have been devised by mixologists from the award-winning bar Swift, which is right in the heart of London’s Soho. Mia Johansson and Bobby Hiddleston are the husband and wife team behind the delicious drinks and they have created a truly mouth-watering selection . 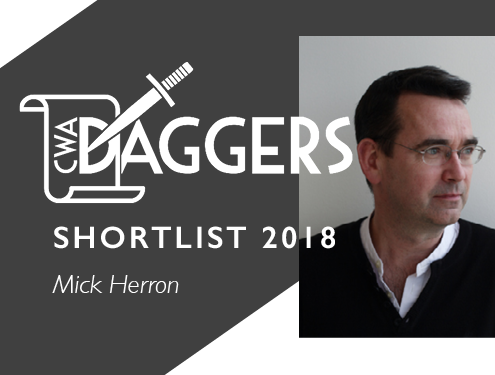 From ‘That Old Devil M’ which draws inspiration from M’s favourite dessert to the ‘Blofeld’ which aims to distil icy malice fit for a super villain into your glass, these are truly original creations, steeped in literary James Bond lore. Each cocktail is introduced by Swift co-owner Edmund Weil, who is distantly related to Ian Fleming. Weil explores the literary significance of each character and expertly tethers it to the ingredients and flavour inspirations for each drink. 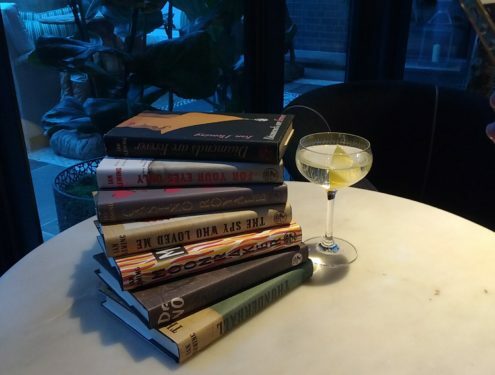 As well as the cocktails, the book is peppered with quotes from the James Bond novels and Ian Fleming’s journalism and various pieces of trivia about the books. For example, did you know that the first ever Bond villain Le Chiffre was modelled on the satanist Aleister Crowley? Crowley, described in the press as “the wickedest man in the world” was a sadist who referred to people as ‘dear boy’ and the whites of his eyes were completely visible around his irises, traits Fleming bestowed upon his character. Other facts such as the real-life inspiration for Miss Moneypenny and the working titles for Moonraker, are all collated alongside the cocktails, adding fascinating insight into each drink’s literary origins. 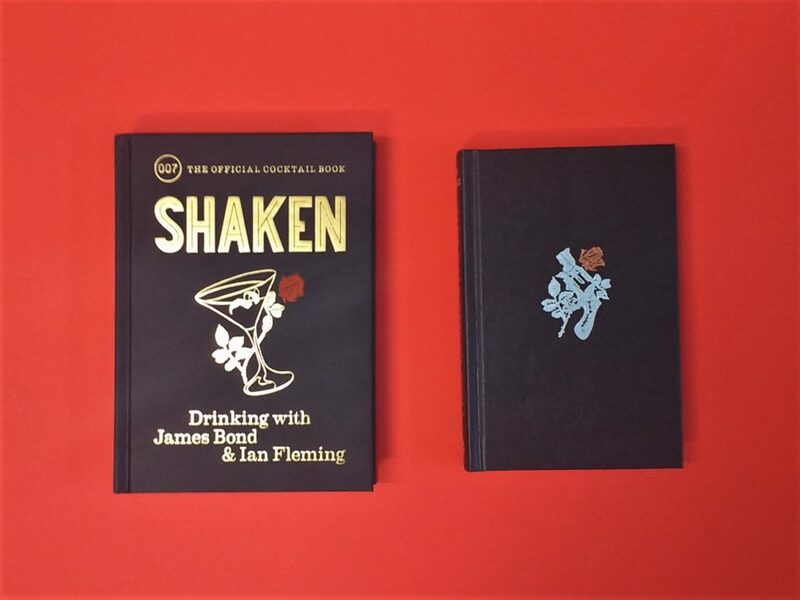 Published by Octopus, SHAKEN: Drinking with James Bond and Ian Fleming is out now. Click here to get your copy!